A new spot to score ramen and more has made its debut in the neighborhood. Located at 5406 N. Clark St. in Andersonville, the fresh addition is called Furious Spoon. It's the seventh location of this popular local chain, which serves Tokyo-style ramen with handmade noodles in a colorful space decorated with graffiti and featuring a hip-hop soundtrack. Fans of Furious Spoon will find all their favorite dishes on the menu, including tonkotsu, shoyu, chicken shio and veggie ramen, along with a full bar offering cocktails, beer and sake. 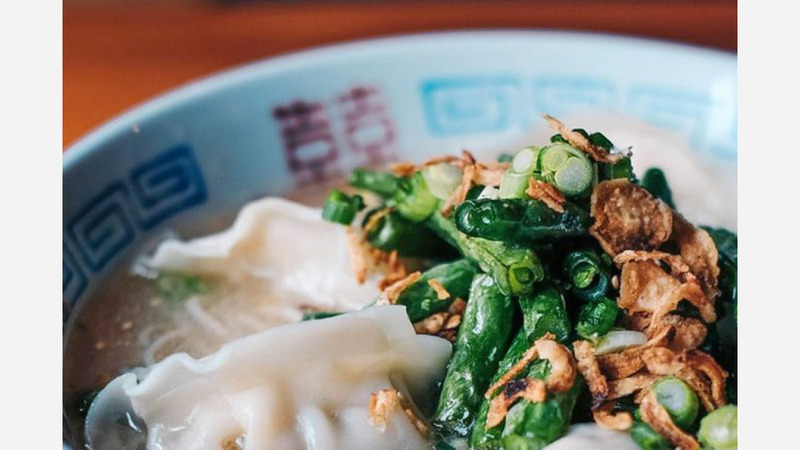 According to Eater, this location also boasts a few new menu items: a shio ramen with chicken dumplings, a spicy beef ramen, and a spicy "Furious" tonkotsu ramen with chicken dumplings and spicy tonkotsu broth. Furious Spoon Andersonville has made a good impression thus far, with a four-star rating out of 18 reviews on Yelp. Taranee A., who was among the first Yelpers to review the new spot on May 12, said, "The newest location of the Furious Spoon franchise definitely didn't disappoint. Great service. They only had the chili-infused noodles, which was kind of a bummer, but they made us a small sample to make sure it wasn't too spicy, which was super nice of them." Allieson S. added, "So happy to have a ramen spot in Andersonville. It's a good addition to the scene. The staff here is excellent and so attentive. They don't have vegan options, but do have a vegetarian option with fried tofu. I would definitely come back here again." Intrigued? Stop in to try it for yourself. Furious Spoon Andersonville is open from 11 a.m.-9 p.m. on Monday, Tuesday, Wednesday, Thursday, and Sunday and 11 a.m.-11 p.m. on weekends.